The DRAFT of the performance list and the roster by school for 1A, 2A and 3A are posted on the website at the links below. Changes may occur as coaches and officials double check both the performance list and the roster by school for accuracy. An email will be sent once all changes are made and performance list are finalized. We ask each school to check for their student athletes and to let us know immediately of any necessary changes (i.e. misspelling of names, incorrect grade or incorrect school) by contacting us at trresults@khsaa.org. The deadline for these changes is 10:00am Monday, May 18. For schools who have team members who did not qualify, or have teams that will be staying for other classes meets, we are in need of volunteers to assist officials with all events. These team members can check in at the team check in area to receive free admission and their assignment. 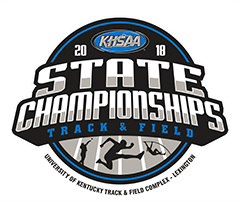 Please contact Angela Passafiume at apassafiume@khsaa.org if your school can help to provide these much needed volunteers – http://khsaa.org/track/2015/statetrackmeetschedule.pdf. 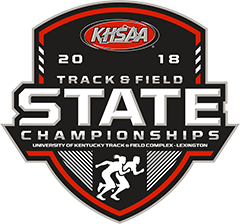 2A – Performance List and Roster by School -*Note – one region was unable to complete their pole vault competition yesterday, but will be competing today. Therefore there is no pole vault information available in the 2A performance listing and the school by school roster is not available. Once all results are in this afternoon these links will be updated for your viewing.